As the new £5 polymer banknote entered the market last week, E-Service helped operators to upgrade bill validators and change machines in venues across the country. Operators across the country have been preparing for the implementation of the new £5 polymer banknote that was released on 13 September. The new note’s increased security and durability will provide benefits in the long term, however most bill validators and change machines had to be upgraded, costing a significant amount of time and money. 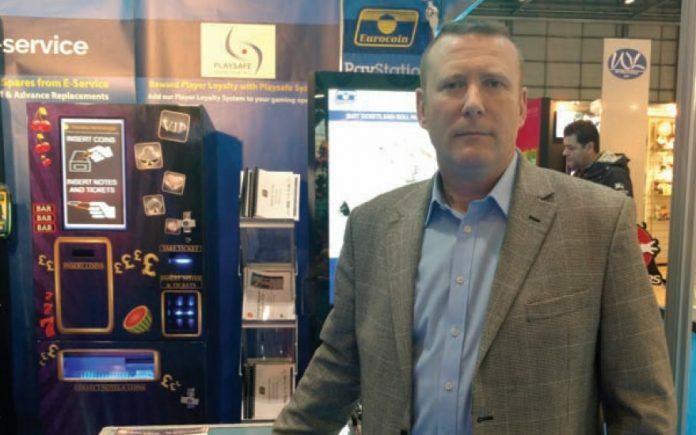 With a diverse array of arcades and leisure companies looking to upgrade their validators, Mike Clokie, managing director at E-Service, has been assisting operators with the changes. “We engaged with the community very early on and spent a lot of time discussing how individual businesses wanted to go about their upgrade” Clokie said. While upgrading is necessary, there are many ways to go about the process, and E-Service has made sure to cover all of these in order to offer operators maximum flexibility. Clokie understands, however, that not all engineers will want to invest both time and money in the programming technology, and for these clients E-Service has a team of field and bench service engineers in London and Castleford. “Other operators just want someone to come onto the site and give them the green light that they can accept the new £5 note, which we can cover with our field service team. We’ve upgraded numerous sites in this way and they are all ready to go for 13 September,” he said. After liaising with operators and understanding the variety of quite different needs that exist, E-Service has also produced an Advanced Replacement service so clients are able to upgrade remotely. As well as providing upgrades, E-Service carries information about their technology and the new £5 note on their website, while also offering a help desk for operators to contact. “We published a product upgrade guide and can talk operators through it when the product and technology is in front of them. We’re happy to share our technology and experience, and that works best for our customers,” Clokie added.